tilled b/w rows and put down straw (as mulch) today. everything's looking good so far except for some superficial leaf damage in some of my eggplants' leaves. the flea beetles put holes in leaves that look like they've been hit w/ buckshot. using some Sevin dust until I get them under control and will switch to neem oil. now I have mulch down, I'll try and take some pics next week. Last edited by jimmathy SCARECROW; 03-26-2011 at 02:20 PM. noticed a mole hill/trail in my larger raised bed garden today, wth? I'll try a buried container method for my second wave of tomatoes and peppers. also, I'm starting to get tomatoes and peppers to fruit now on my first wave of plants. some pics from my garden. not all of my plants. looks like it's going to be Jimmy Monster -vs- the Home Owners Assoc. 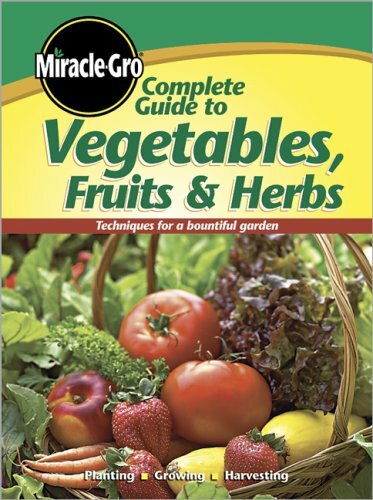 one of the new amendments they're trying to make to the guidelines say you can't have vegetables or herbs in a front flower bed or visible from the road. haha, they're also enacting an amendment to house colors too, b/c one of my neighbors just painted his house and brick - barnhouse red and white, like a barn. Last edited by jimmathy SCARECROW; 04-06-2011 at 10:00 AM. 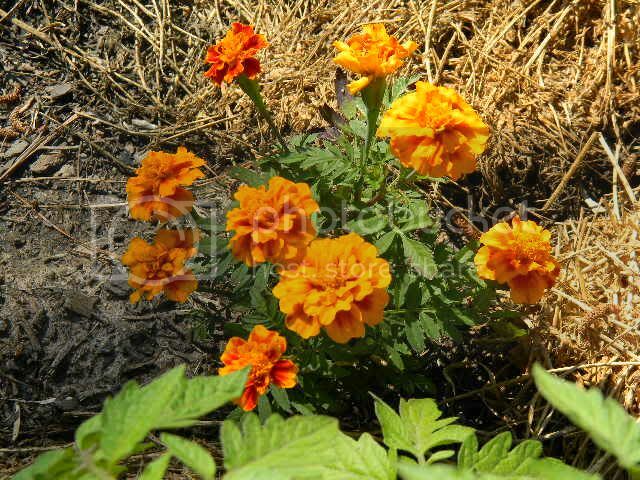 here's two of the marigold plants (french double blossom) I'm growing as companion plants in my garden. ** b/c each flower bud contains a lot of seeds (30-50), just let me know if anyone is interested in me sending an envelope w/ some. Last edited by jimmathy SCARECROW; 04-08-2011 at 11:12 PM. ill get some pics up of the cantalope, tomatoes, serano peppers and cucumbers I planted. I've only had them a week and then the've already grown 2 inches. ^ definately post some pics. I'm interested in what, if anything, other people are doing. Thanks to KDH, I was able to spread 55bags of Texas Mulch in my backyard this weekend and finish our yard in APRIL this year!!! feel so ahead of the game! When we bought our house last year one of the things we liked was the backyard; wood fence, then a mesh security fence and then like 70 bushes that go all the way around, most run about 8-9ft tall which give a lot of privacy in our fairly crunch RR neighborhood, 4-5 feet taller then the fence in most parts. I guess one thing we didn't think about was how hard it would be too, first clean it up from the previous owner then try to maintain it, WOW (money and time) ... Last year we stripped the weeds, cleaned the beds and layed down garden felt to block the weeds from growing back... After finishing all that and covering about 1/3yard with mulch just by doing sm trips to home depot in the cars; it ran straight into June and we gave up. A) Too damn Hot and B) staight up ran out of money as we were building a deck at the same time. Just finished up the project, much have spent close too 400-500 on the gardening alone ;( just fair warning for those who buy house with lots of green spaces be prepared. Hopefully now its clean and tidy we can keep it that way cheaper. Also, solar screened all 32 windows and just got those back up last weekend, took about a month to get that done by myself but only cost like 200bux in materials vs the 700 quote I got last year to have it done. All in all getting ready for Summer early this year, stay ahead of the heat! Last edited by junglist247365; 04-11-2011 at 05:42 PM. already have picked a handful of both full size squashes and white wonder cucumbers. I'm still waiting for my tomatoes and peppers to progress a little more before I take any more pics. I'll take some more pics in 2 weeks or so, most likely. also have some purple basil now too, b/c everything purple is better, right? bananas? really? I didn't know you could grow them.